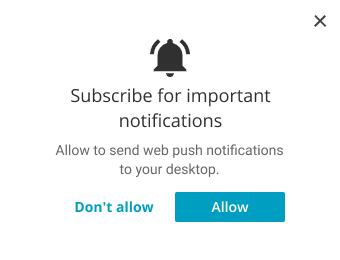 Our statistics show that 44% of website visitors click “Allow” and subscribe for web push notifications. If you already have a list of web push subscribers, you can monetize your website using web push campaigns. Activate the advertising system in your personal account and choose websites that the web push ads will be delivered to. Indicate the frequency at which subscribers will receive advertising messages through web push: low — twice a week, medium — once a day, high — more than twice a day. and geo-targeted. You gain money on a per click basis — every time a subscriber clicks on such advertisement. Web push ads undergo quality and topic checks before being delivered to subscribers. In the settings for each website, you can choose what type of ad content your subscribers will receive from advertisers. 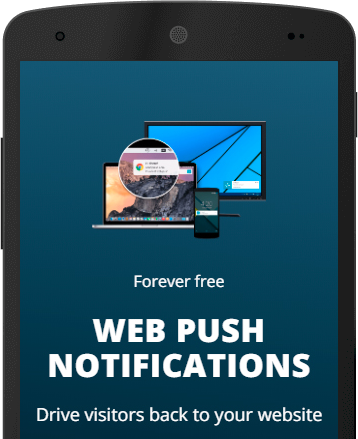 Web push notifications are a universal ad format used to announce upcoming sales and discounts, inform subscribers about the latest news and articles, promote useful checklists, and other content. We work with advertisers using CPC and CPM pricing models. The cost per click or impression is not fixed; it is determined based on the results of an auction among advertisers. The cost an advertiser pays for each link click by a subscriber. The cost an advertiser pays for one thousand views of a web push ad. Statistics on web push ads for each website as well as the amount of earned money are available in your account. The Referral Program is powered by the service partner PushPush.io. Every participant of the monetization system gets a unique link for referring users to SendPulse. When new users sign up through your link, they become your referrals. If your referrals use the monetization system, you regularly receive 7% of their revenue. Earned money is withdrawn once a week. Earned money is withdrawn at your request.